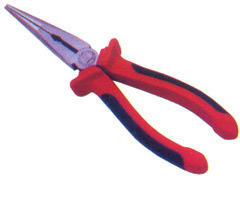 Our modern facilities allow us to successfully handle the market demands of Long nose pliers. These are made available by us with wire stripper & insulated handle for efficient and sturdy handling. The range offered includes HO-526 in lengths of 150mm (6") and HO-528 in lengths of 200mm (8").